This Van Briggle piece has not previously been catalogued and recorded. It appears to be a Poppy Flower Design. 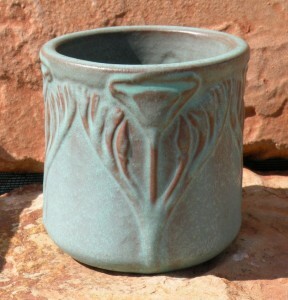 The piece stands 4 1/4″ in height, and 4 1/4″ in diameter. 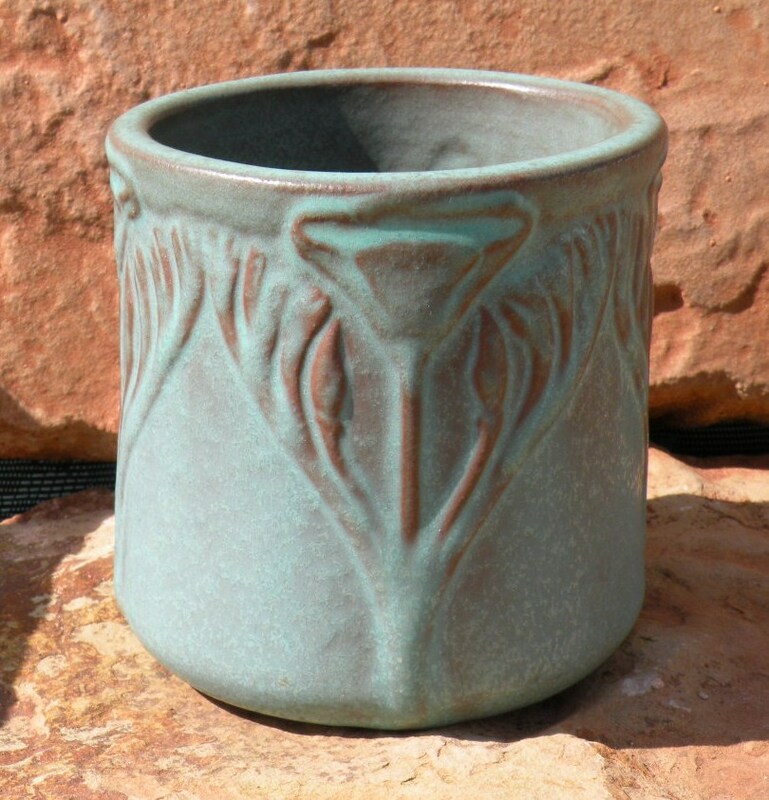 The glaze is a beautiful green over dark chocolate clay; with the high points of the design showing the clay through the glaze. 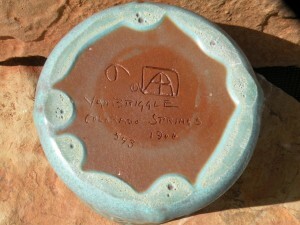 Markings on the bottom are thought to be in the style of Anne Van Briggle. The double-A within a square is featured at the top, with a large “swirl” inscribed to the left of the double-A, and also a “1” within a circle to the left of the double-A. Underneath the double-A are the words “VAN BRIGGLE COLORADO SPRINGS” as well as an inscribed shape number “543” and date of 1906. The bottom of the piece shows accumulated glaze around the outside edges, which has been ground level during the production period.